This March we will be embracing our crazy berserker nature to bring you a glimpse into the twisted minds of Dog Might. We will be releasing new exotic woods, exploring stains, writing gibberish, and unleashing our woodworkers to create new gear. Dog Might Games + Ice Cream Dice! Relics & Rarities features Dog Might Gear! Custom Rolling Tray for R&R! We made some sweet custom rolling trays for the R&R crew. Crafted in North American Black Walnut and adorned with unique features for the show! Relics & Rarities Premieres Feb. 4th at 6pm PST on Project Alpha. Use promo code RELICS for a FREE trial for new subscribers! 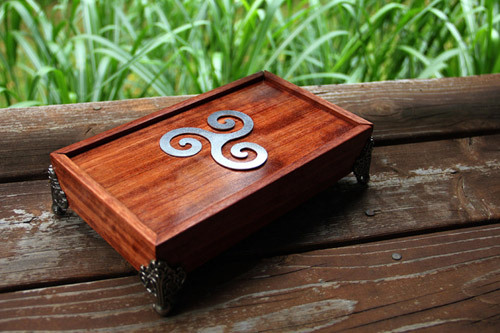 Since February is the month of love (and we're all sick of chocolates anyway), we wanted to come up with something that was near and dear to our hearts, so we partnered with our local Humane Society to bring you this Limited Edition Dice Box. Whether you are fighting off frigid horrors in the Lands of the Linnorm Kings or battling diabolical foes in Cheliax, our Officially Licensed Pathfinder Dragon Sheaths will ensure your favorite dice and mini are protected. Dog Might Celebrates 5 Years! Viking Lumberjack Rage Mode Activated! Check our our Gaming Gear on G&S! 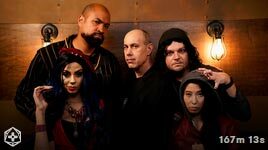 We are very proud to have our Kickass Gaming Gear featured on 2 top rated shows on Geek and Sundry. This post-apocalyptic adventure follows a band of survivors as they journey into the infected American Midwest. 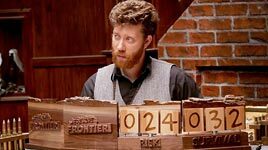 Based on the award-winning podcast, We’re Alive: Frontier features five new characters and countless ways to die! 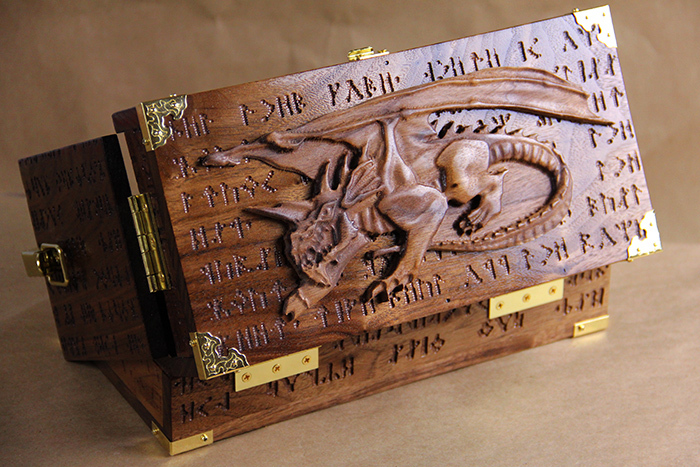 Walnut Valhalla Screen with Dracolich. Add some Extra Spooky to your Celebration! 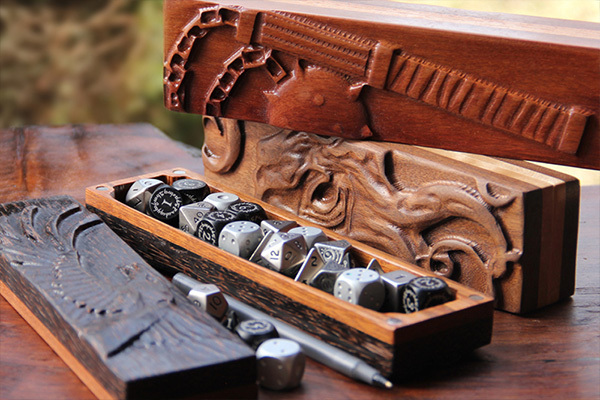 Get into your Halloween gaming this year with our spooky dice boxes. Crafted out of Flame Birch and finished with our custom mixed stains, our annual Halloween Dice Boxes are back for a limited time only. Bats, Pumpkins, and Bleed Hearts; all Dice Boxes include a matching set of dice! Order before October 8th for Guaranteed Halloween delivery in the USA. Real Tips. Real Vikings. Bad Advice. Each week we bring you our mead induced thoughts on life, love, and the pursuit of Vikingness. Check back regularly for tips from the pros. Please apply all advice to your personal life and let us know how it goes. Black Walnut with 'Honeycomb' bottom and 'D20' engraving. 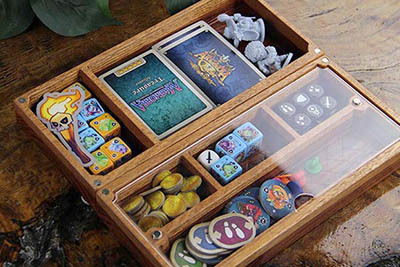 The Sentinel is a fully customizable chest that works perfectly for a huge amount of Card Games, Boardgames, and RPGs. Initially developed as a break from traditional deck boxes, the Sentinel is perfect for Living and Collectible Card Games that require a full deck as well as a large amount of tokens. It also acts as a wonderful carrier for Role Players, capable of holding a massive amount of dice, spell cards, and tokens. 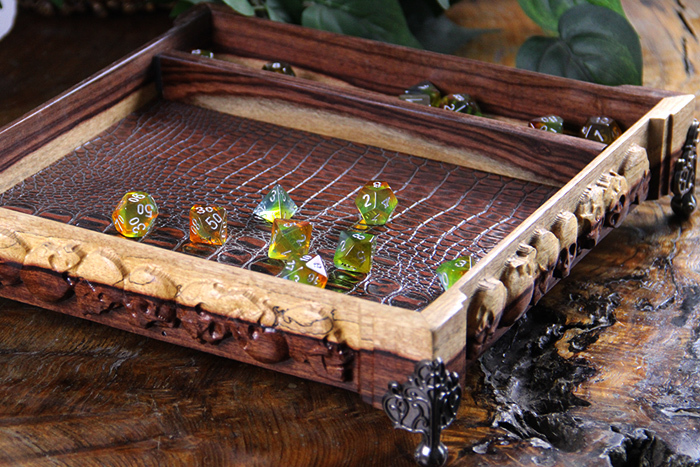 The Sentinel also acts as excellent storage for larger, campaign style board games or as an easy storage solution when you can't finish a game in one session. Support the Trevor Project and get some Epic Gaming Gear. To Celebrate Pride month we are holding a raffle as a Benefit/Fundraiser for The Trevor Project. We are also offering Limited Edition Pride gaming gear. A Portion of Proceeds will benefit The Trevor Project. 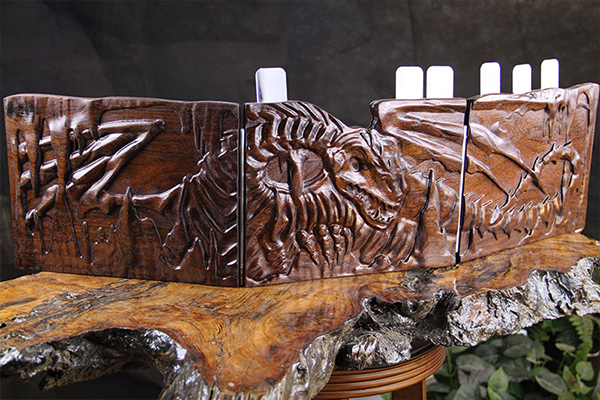 Wins a Stunning XL Dragon Sheath! Post a video of your most Epic War Cry on our Facebook page - the video that gets the most likes wins! The Vikings honored their warriors that had fallen in battle and had ascended to Valhalla during Einherjar on May 30th. Here at Dog Might, we have perfected the art of the Einherjar celebration. Whether you are celebrating Einherjar or a more traditional Memorial Day, below are simple steps to guarantee a raucous holiday. Play a game of Hnefatafl. As fun to say as it is to play. 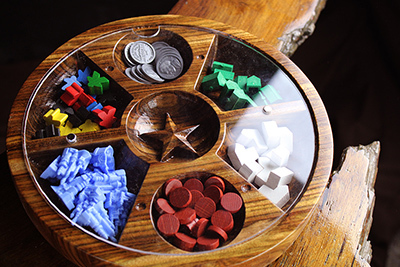 If you don’t own your own hand carved version of this ancient board game, Blood Rage is a solid choice as well. Whatever you do, make sure Gaming is involved. Have a BBQ fit for a Jarl. All Viking Warriors love fire and eating. Give the people what they want and keep your CON score topped up. Be sure to provide enough food for all of your Warriors as to avoid the Dog Might Einherjar Disaster of 2016 (five Viking Lumberjacks died that day). Post your Jarl worthy BBQ pics on Twitter #dogmight for a chance to receive Odin's blessing. Mead. Lots and lots of mead. Mead (or Lumberjack Juice) is a solid foundation for any diet. Mead is more important than food. If you don't believe that statement, just look at the Dog Might Einherjar Disaster of 2015: the shop shut down for a full 3 weeks, 6 fingers were lost, all animals within a 3 mile radius went berserk, trees started cutting themselves down, and perhaps most noteworthy of all, beards refused to grow for a week straight. 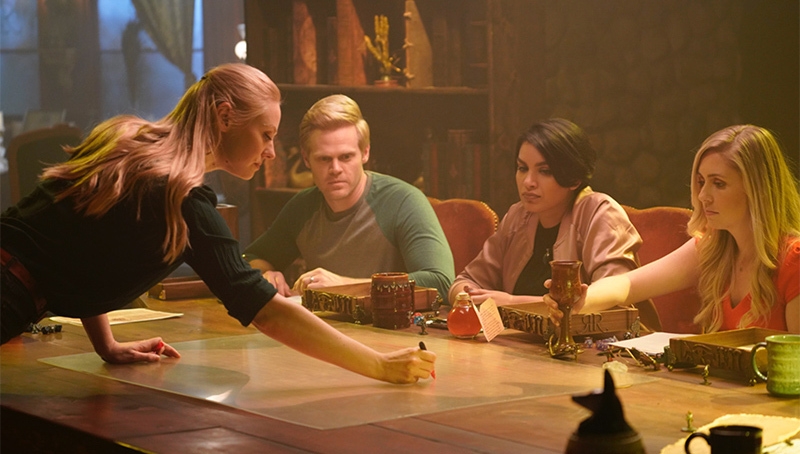 Alan Patrick, the Lead Community Manager of the D&D Adventures League joined us recently to run a one shot for the insane Lumberjack Juice swilling Dog Might crew. If you ever have an opportunity to game with a pro DM like Alan, whip out your war-horn and scream with joy. In Honor of Memorial Day and Einherjar we are offering Free Shipping in the USA and Scandinavia through Monday May 28th. 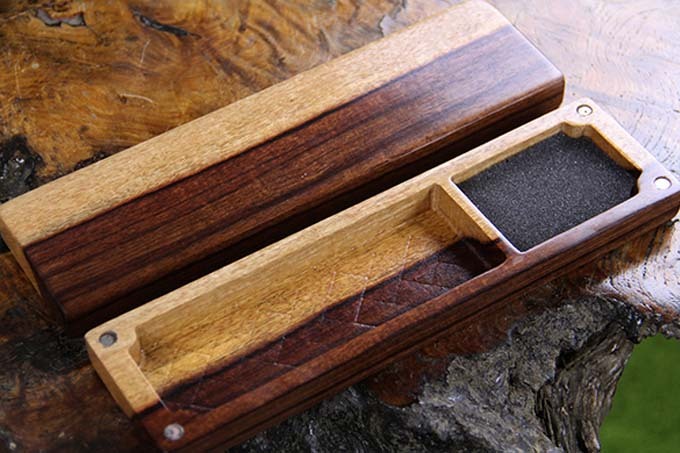 We just added some fine new treasure to our overstock page, including this gorgeous Black Walnut Adventure Case with Mjolnir sculpt. Very Einherjardly. 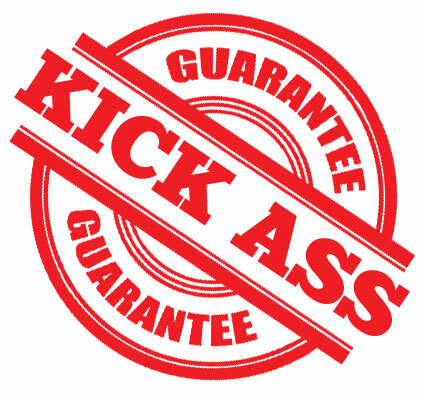 Miss one of our Kickstarters? Did you forget to pledge one of our recent Kickstarter projects? Signup below to be notified when late pledges open up. Signup and get 10% off too! We are a small group of Lumberjacks that are devoted to ensuring that every one of our customers is filled with joyous celebration. When you open your item for the first time, don't be surprised if you experience one of the following: prolonged speechlessness; immediate unexpected bowel movements; or bleeding eyeballs. If this does not occur, or for any reason you are not 100% satisfied, contact us and we will make it right. 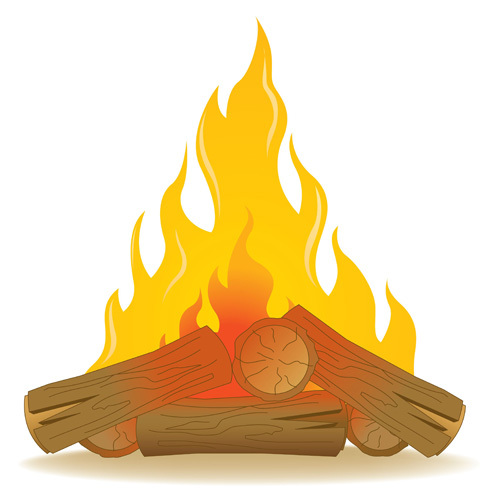 Been burned by a Woodworking Project? The Kickstarter community is very important to us and we want it to be viewed as a reliable and trustworthy platform for small businesses. 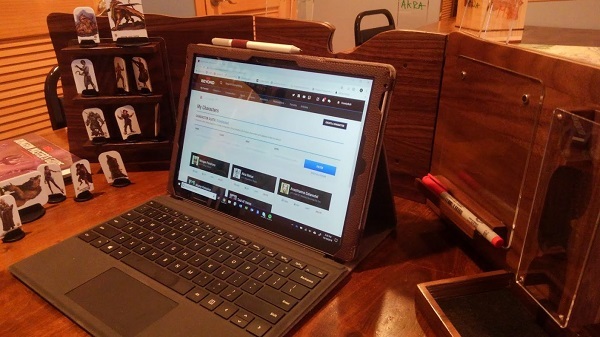 If you have backed a woodworking project that has failed to deliver or delivered unacceptable quality, let us know and we will offer you 15% off of anything on our website to help restore your faith in Kickstarter.